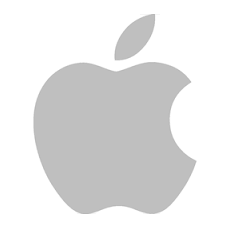 Apple is an American technology company known worldwide for its innovative, user-friendly hardware, software and services. Apple is headquartered in Cupertino, California with retail stores and global distribution. Apple has been in operation since 1976. Apple Pay is a secure mobile payment and digital wallet service that replaces the traditional use of credit cards and debit cards by assigning a unique encrypted Device Account Number to each payment method. When customers make store purchases using Apple's Wallet app on their iPhone or wearable, they receive an emailed receipt that marketers can use for promotional messaging. Apple Pay also collects ongoing data about a customer's unique purchasing habits. Apple Pay works at any retail store that accepts digital payments. Apple Podcast allows users to, via iTunes, download and listen to podcasts; makers may submit the podcast to the iTunes feed via Apple Podcast. Apple does not directly provide podcast updates or episodes. When you subscribe to a podcast using the Podcasts app for iOS, or using iTunes on your Mac or PC, you are subscribing to the podcast updates by that particular podcast producer. With iCloud, you can synchronize your podcast subscriptions across all devices. ARKit from Apple is a new framework that allows you to easily create unparalleled augmented reality experiences for iPhone and iPad. By blending digital objects and information with the environment around you, ARKit takes apps beyond the screen, freeing them to interact with the real world in entirely new ways. ARKit runs on the Apple A9, A10, and A11 processors. Final Cut Pro is a popular Non-Linear Editing (NLE) digital video platform for post production studios, agencies and other professional video editing teams. Final Cut Pro supports multiple video and audio tracks, features a full range of sophisticated editing tools, filters, transitions and effects. Final Cut Pro offers video creators best-in-class speed and superior quality through every part of the post-production workflow. GarageBand is an audio workstation software application for Mac users. With GarageBand, creatives of any skill level can quickly and easily create jingles, theme songs, podcasts or any other recorded asset. GarageBand offers a complete sound library that includes software instruments, presets for guitar and voice, and virtual session drummers. An intuitive interface makes it easy to learn, play, record, create, and share your hits worldwide. It’s never been easier to make music like a pro. HomePod is a voice controlled device that combines Apple-engineered audio technology and advanced software to deliver the highest-fidelity sound throughout the room, no matter where it’s placed. Compatible with iPhone 5s and later, HomePod features voice control, Siri intelligence, remote access and home automation through the Home App. Apple introduced the iBeacon protocol in 2013, giving rise to a new breed of proximity marketing technology that changed the way retailers reach their customers. Because beacons can determine a device's physical location, retailers and other brick-and-mortar stores can use them to track customers and send a message to customer smartphones whenever they are within range of the beacon. From welcoming people as they arrive at a location to providing information about navigating a venue, iBeacon provides location awareness, and countless opportunities for interactivity between iOS devices and iBeacon hardware. iBeacon-enabled hardware and accessories integrate iBeacon technology to ensure a reliable and consistent experience for customers. iCloud Drive is an online repository for safely storing any and all digital assets. Upload, organize and manage everything inlcuding presentations, spreadsheets, PDFs, images, or video, all accessible from iPhone, iPad, iPod touch, Mac, or PC. iMessage is Apple's instant messaging service. You can take advantage of the Messages framework in iOS 10 or later to create an app extension that lets users interact with your app directly within Messages. Users can easily create and share content, add stickers, make payments, and more, without leaving their conversations. iMovie is a simple-to-use video creation and editing application that lets creatives of all skill levels make high-quality movies at 4K resolution. iMovie offers a drag-and-drop interface that makes it easy to insert titles, add effects, and add a soundtrack. Keynote makes it easy to create stunning and memorable presentations. And with real-time collaboration, your team can work together on a Mac, iPad, or iPhone — even on a PC using iWork for iCloud. With Keynote, you and your team to create beautiful presentations together, from anywhere. It lets everyone work at the same time, with access to the same powerful tools. Laserlike is a machine-learning enabled app for using voice to serve up information. Laserlike's technology includes search, discovery and personalization on one platform platform using advanced machine learning. More than 65% of App Store downloads come directly from a search. Use Search Ads to make sure that your app shows up at the top of relevant search results. Set up is fast and easy for non-technical business users, with full control over budget, audience targeting and tracking. Just set your desired maximum payment cap. Siri is the intelligent assistant that enables Apple iPhone, iPad and iPod Touch devices to understand natural language voice commands. Talk to Siri as you would to a friend and it can help you get things done — like sending messages, placing calls, and making dinner reservations. You can ask Siri to show you the Orion constellation or to flip a coin. Siri works hands-free, so you can ask it to show you the best route home and what your ETA is while driving. It works with HomeKit to let your voice be the remote control for connected products in your home.